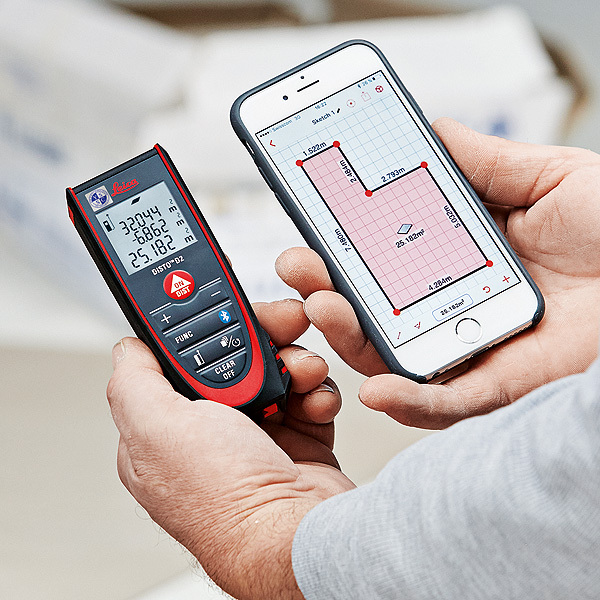 Bluetooth® Smart: The latest Leica App DISTO™ sketch is the ideal link between the new Leica DISTO™ D2 laser measurer and a smartphone or tablet. The app enables you to prepare layouts and drawings, and dimension them precisely. Multifunctional end-piece: When from interior corners, slots or edges, the intelligent end-piece ensures the highest accuracy. The instrument detects the end-piece orientation automatically and eliminates a source of measuring errors. 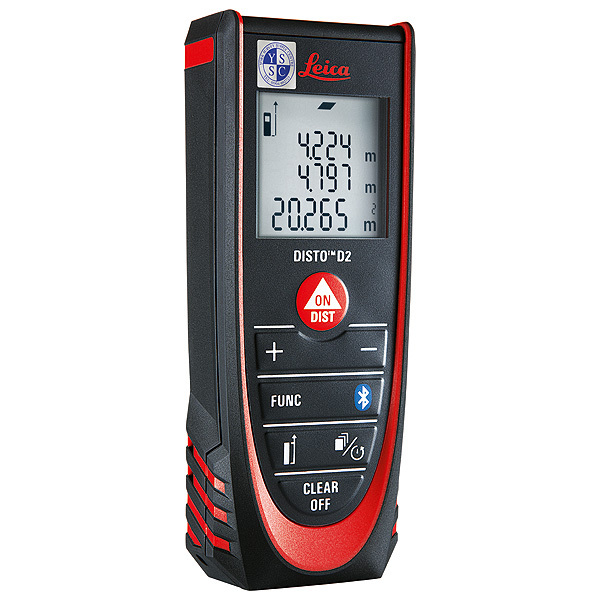 This feature is unique to Leica DISTO™ laser rangefinders. 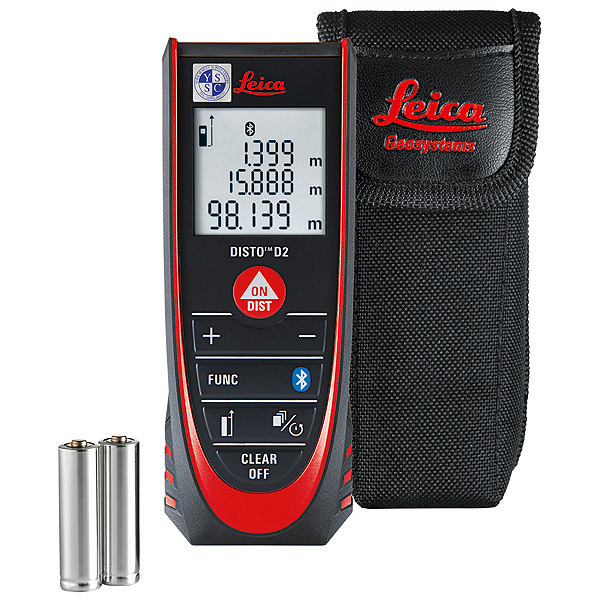 100m measurement range: Using our latest generation measuring engine featuring X-Range Power technology the "pocket sized” Leica DISTO™ D2 can measure long distances of up to 100 metres in accordance with ISO 16331-1. 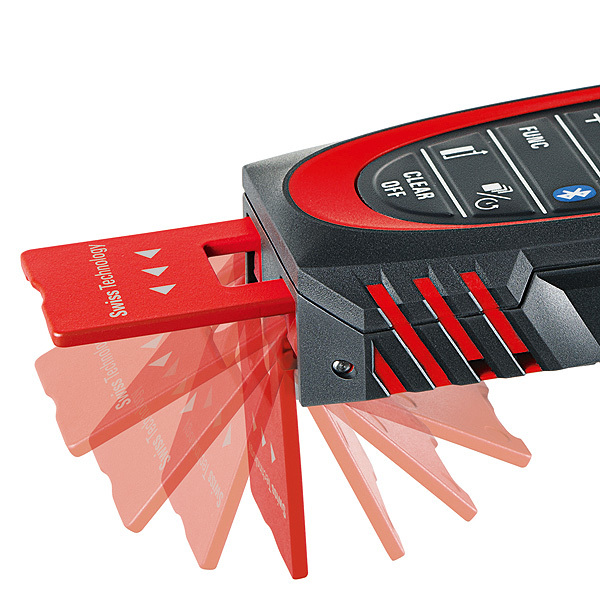 X-Range Power technology ensures fast and reliable measurements. 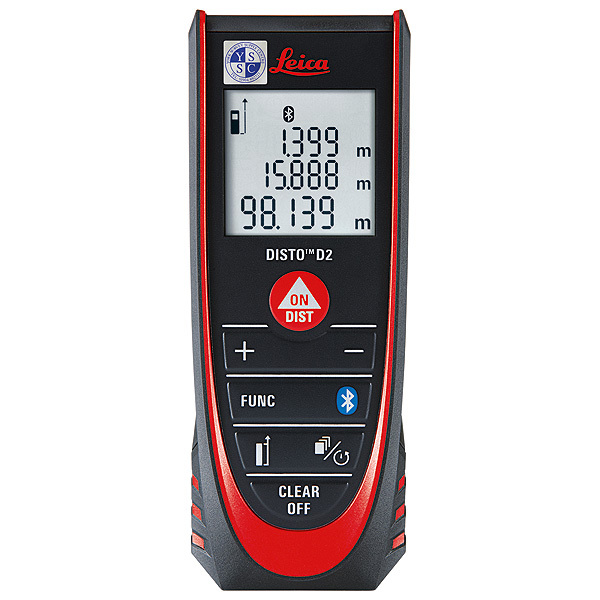 20+ years of experience in the palm of your hand: Leica Geosystems INVENTED the laser distance meter in 1993. 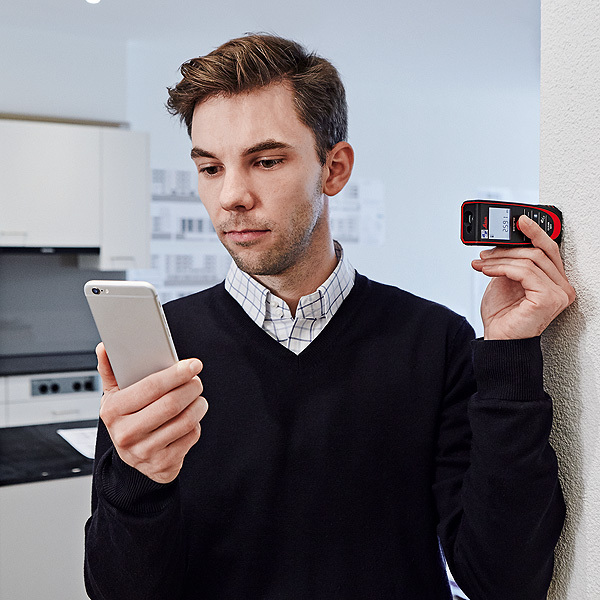 The new Leica DISTO™ D2 is created from the learnings and feedback of millions of users around the world. Simple-to-use functions such as area and volume measurement are modified to create the best solutions for measuring painting surfaces. The simple details like a bright, backlit measurement screen and a "beep” to alert when a measurement is complete make the Leica DISTO™ D2 the best general purpose laser distance meter.